Well. here's day 12. It's more like a sketch or study. 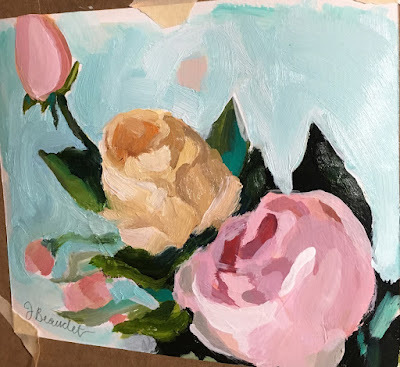 I'm trying to simplify roses and there hard for me to paint anyways! I'll have to do more for sure! I have to get this down.